The world of silent films is a fascinating place to explore. 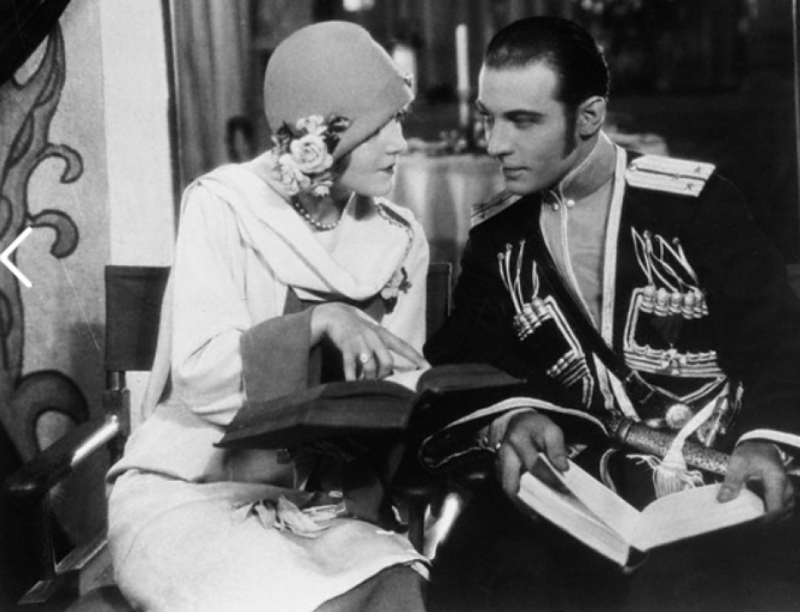 There is one actor who stands out the most and that is Rudolph Valentino. The words in this blog are copyrighted by law. I hate them. Because to me they seem like the souls of foolish women who have passed on. Poor, illusioned fluttering things, that find, now as always, irresistible The warmth of the flame. Taking no heed of the warning, that merely singed their wings. They fluttered nearer and nearer, till wholly consumed to filmy ashes of golden dust. I fear them yet, I watch them fascinated. They make me see the folly, that what it seems women are created for. For women’s life was love, since life beginning and the hypocrite alone calls sinning. But if ever the highway of sin, I would trod straight on. Till, I returned unto dust and sod, and then as the blood ran riot in my veins, two lips trembling with ecstacy and pain. I would call out for death, though I knew full well, I had gained a paradise thru the gates of hell.